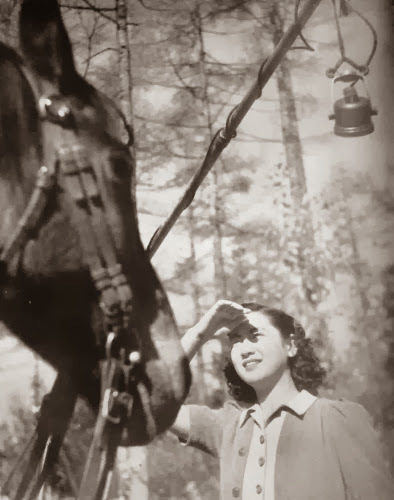 I found some rare snapshots of Setsuko Hara in Japanese movie magazines from 1930’s and 1940’s. Smiling under a microphone and intense sunlight. 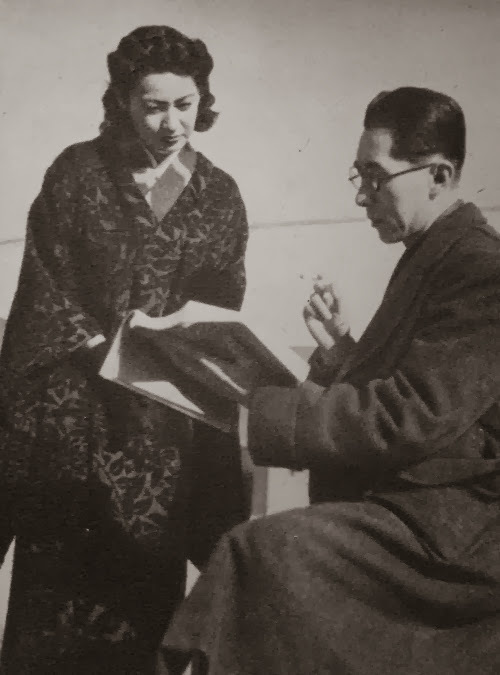 This photo above was taken during the shooting of HIKARI TO KAGE (LIGHT AND SHADOW, 光と影, 1940, dir. Yasujiro Shimazu). Shimazu directed 19-year-old Hara for the first time in this film. He was inspired by her performance even though he found her still stiff and lacking in some basics of the art of acting. 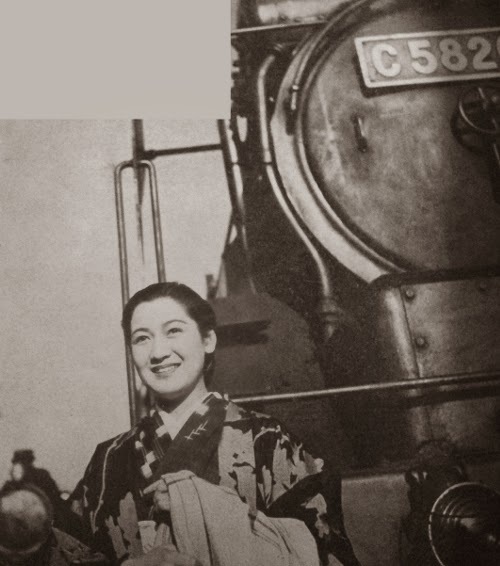 From this film on, Shimazu carefully mentored her in six films until his untimely death in 1945. From SHIMAI NO YAKUSOKU (PROMISE OF SISTERS, 姉妹の約束, 1941, dir. Satsuo Yamamoto). With Harue Wakahara. From SHIDO MONOGATARI (A TRAINING STORY, 指導物語, 1941, dir. Hisatora Kumagai). The film centers around an aging locomotive engineer and a band of young trainees from Army. Hara plays the daughter of the old engineer. Today, it is seen as a rare filmed record of locomotive engines in 1940’s. 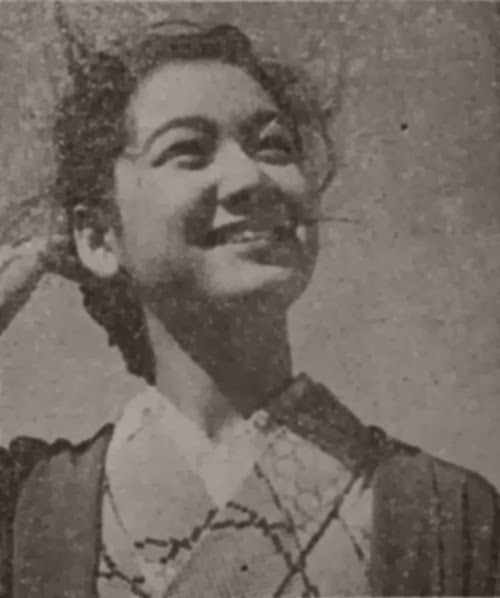 SEISHUN NO KIRYUU (YOUNG AIR WAVE, 青春の気流, 1942, dir. Osamu Fushimizu) is a story about an airplane engineer, and Hara plays the girl who secretly loves him. 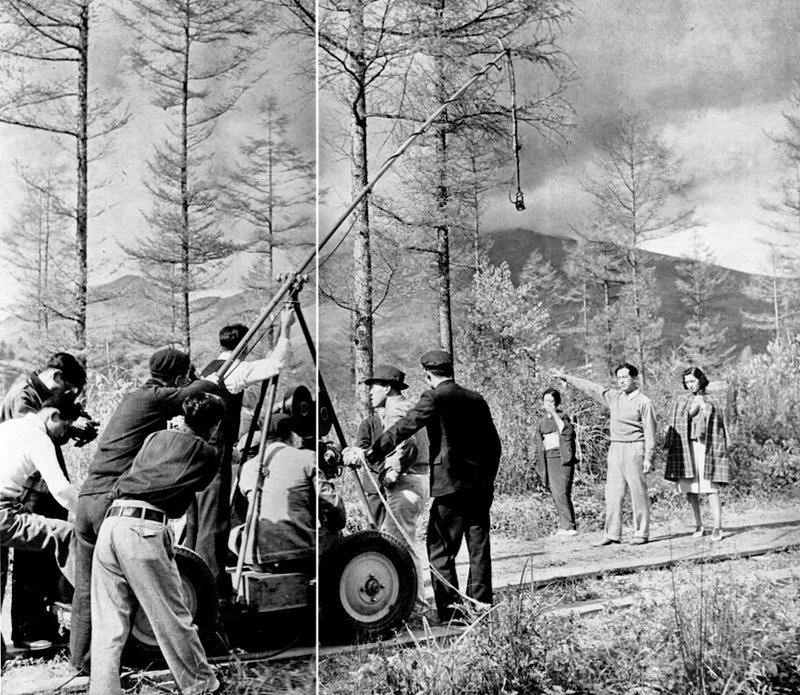 Akira Kurosawa wrote the script for this melodrama hastily turned into a propaganda. 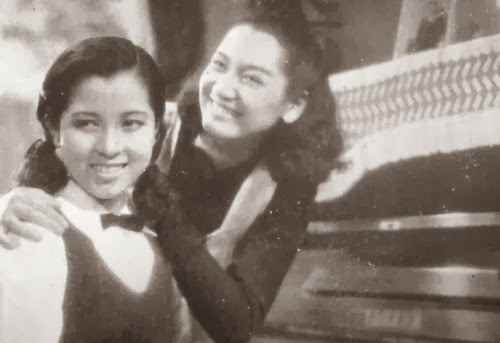 Fushimizu, shown here together with Hara in this shot, died from tuberculosis after this film. 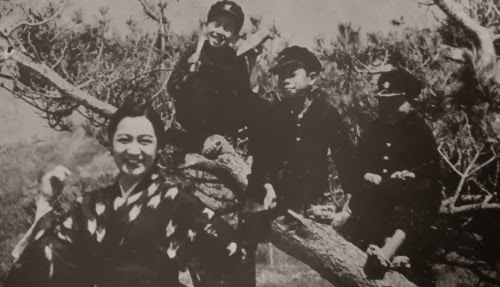 The photo below captured the candid moment during the shooting of WAKAI SENSEI (A YOUNG TEACHER, 若い先生, 1942, dir. Takeshi Sato). The film was based on the book by Fumiko Hirano, an elementary school teacher in a rural village of Kimitsu, Chiba. It was her account of struggle as a young teacher in the impoverished small village, where the parents couldn’t even afford a decent underwear for their kids. She tried to improve living conditions – and education – for these children by compassionate devotion. Shot in Toyama instead of Kimitsu in the year earlier, the film ran into problems with censors. It seems that the censors objected to frank portrayal of poverty. According to Nobuo Chiba, one of the child extras in the film was Sachiko Hidari, a future actress in such films as THE INSECT WOMAN (1963) and A FUGITIVE FROM THE PAST (1965).